Colossians was written to the local church at Colosee (with the principles to be applied by all local churches and believers) to counteract the heresy of Gnosticism, the first heresy in the church. There were many forms of Gnosticism, and in Colossee there were the Essenes. There are three points of identification for this group: (1) They had an exclusive spirit. They felt that they were the people—they had knowledge in the jug and held the stopper in their hands. Thus, they felt that they were super-duper in knowledge and knew more than anyone else, including the Apostles. (2) They held speculative tenets on creation. They taught that God did not create the universe directly, but created a creature who in turn created another creature, until one finally created the physical universe. Christ was considered a creature in this long series of creations. Paul refutes this in Colossians 1:15-19. (3) They practiced asceticism and unrestrained licentiousness. They got the asceticism from the influence of Greek Stoicism and the unrestrained licentiousness from the influence of Greek Epicureanism. Paul refutes this in Colosians 2.16, 23 and 3.5-9. Paul is specifically attempting to answer one of the oldest heresies of the church, ____________. Other heresies included Arianism. Arius of Alexandria said that the Lord Jesus Christ was a creature, a __________ being. Socinus later propagated the heresy that Jesus was not God and that mankind did not need a Saviour from _____, that man is not totally ___________. This is the basis of Unitarianism and some of the ________, including Jehovah’s Witnesses. (1) He is “the ________ of the invisible _____.” He (God) was born flesh. (See Jn. 1.1, 14). If He were not _____, He could not have been the image of the invisible _____. (2) “He is the ____________ of every __________.” This reveals His relationship to the Father and His position in the Trinity. His “goings forth have been from of old, from everlasting” (Mic. 5.2). The child (Jesus) was born, but the son is given (Is. 9.6). Paul is destroying one of the ______________ of that day—that God created a creature, then that creature created a creature, etc. ; until finally a creature created this universe. Paul is answering that and saying that Jesus Christ is the firstborn of all ____________; He is back of all ___________. The Greek word is prōtotokos meaning before all creation (See Jn. 1.1-3). God the Father is the ______________ God the son is the _____________ son. The Lord Jesus is called the ____________ from the dead (Col. 1.18). This is what the psalmist spoke of in Psalm 2.7 and explained by Paul in his sermon at Antioch of Pisidia (See Ac. 13.32, 33). Christ ___________ all things. Other verses that make clear that Christ was not a mere creature include Hebrews 1.3 (the second person of the Godhead); Hebrews 1.7, 8 (Speaking of Jesus: “Thy throne, O _____ is for ever and ever….”); Matthew 16.16 and Luke 1.35 (He is the _________, the Son of the living God). (3) “By him were all things __________” (verse 16). Thus, he was the one who did the ___________. There are two kinds of creation, the __________ and the ____________. Paul mentions different graduations of rank in spiritual intelligences: __________, ____________, _________________, ________. Our spiritual enemies, Satan and his followers, have different gradations of rank. (4) All things were created “for _____.” This all shows that this is _____’s universe. And we are _______–_______ with the Lord Jesus Christ! (5) “He is before all things.” All _________ dwells in the preincarnate and the incarnate _________ (Col.2.9). (6) “By him all things consist.” He holds everything together. He maintains and directs __________. He is the Elmer’s Glue of the ___________. See also, He. 1.3. (7) “He is the head of the body, the church.” In Ephesians, the emphasis was on the fact that a church is a _______________ _______. In Colossians, the emphasis is on the _______ of the body, the person of the _______ _________ ____. In Philippians we see a church with feet, walking through the world—we see the experience of a church, of a believer. “The firstborn of from the dead.” When a saved loved one dies, the _______ is put to sleep, but the _______________ has gone to be with the Lord. The body, sown in _______________, will be raised in __________________ (1 Co. 15.42) on the basis of His _______________. We shall be as He is (1 Jn. 3.2). (8) “That is all things He might have the preeminence.” God is moving toward one goal—to put _________ on the throne of this world which is today in rebellion against _____. He will achieve that goal (See, e.g., Ps. 2.6). (9) “It pleased the Father that in him should all the fullness dwell.” In Philippians, Christ __________ Himself of His glory, not his ________, and became a __________. Here, we see that Jesus was _____% God. “Having made peace through the blood of his cross” means that by His paying the penalty on the cross for your _____ and my _____, peace has been made between God and the __________. “Therefore being justified by ________, we have ________ with God through our _______ __________ __________” (Ro.5.1). “By him to reconcile all things unto himself.” Reconciliation is toward _____; redemption is toward _____. 2 Co. 5.28-20: “18 And all things are of God, who hath _______________ us to himself by Jesus Christ, and hath given to us the ministry of _________________; 19 To wit, that God was in Christ, _______________ the world unto himself, not imputing their trespasses unto them; and hath committed unto us the word of ____________________. 20 Now then we are ambassadors for Christ, as though God did beseech you by us: we pray you in Christ’s stead, be ye _______________ to God.” God is _______________. He is asking man to be _______________ to Him. “Reconcile all things.” The “all things” is limited to all things that are to be _______________, those which are appointed to __________________. “Whether they be things in earth, or things in heaven.” Notice that Paul does not mention things _________ the earth as he did in Phil. 2.10. The things _________ the earth are not reconciled to Him at all. Notice that __________ must also be reconciled. “”The body of his flesh.” Christ suffered in a real ______. b. He took our place. c. we do good works. d. we have good character. Explain your answer. Sample explanation given in answer below. If you are a _______ of God today, you will ___________ in the faith grounded and settled. The “if” in verse 23 is the “if” of argument. It means that something was if something else is true. Paul’s point is that we have been ______________—it is an accomplished ______. Paul is specifically attempting to answer one of the oldest heresies of the church, Gnosticism. Other heresies included Arianism. Arius of Alexandria said that the Lord Jesus Christ was a creature, a created being. Socinus later propagated the heresy that Jesus was not God and that mankind did not need a Saviour from sin, that man is not totally depraved. This is the basis of Unitarianism and some of the cults, including Jehovah’s Witnesses. (1) He is “the image of the invisible God.” He (God) was born flesh. (See Jn. 1.1, 14). If He were not God, He could not have been the image of the invisible God. (2) “He is the firstborn of every creature.” This reveals His relationship to the Father and His position in the Trinity. His “goings forth have been from of old, from everlasting” (Micah 5.2). The child (Jesus) was born, but the son is given (Isaiah 9.6). Paul is destroying one of the philosophies of that day—that God created a creature, then that creature created a creature, etc. ; until finally a creature created this universe. Paul is answering that and saying that Jesus Christ is the firstborn of all creation; He is back of all creation. The Greek word is prōtotokos meaning before all creation. See John 1.1-3. God the Father is the everlasting God the son is the everlasting son. The Lord Jesus is called the firstborn from the dead (Col. 1.18). This is what the psalmist spoke of in Psalm 2.7 and explained by Paul in his sermon at Antioch of Pisidia (See Ac. 13.32, 33). Christ created all things. Other verses that make clear that Christ was not a mere creature include Hebrews 1.3 (the second person of the Godhead); Hebrews 1.7, 8 (Speaking of Jesus: “Thy throne, O God is for ever and ever….”); Matthew 16.16 and Luke 1.35 (He is the Christ, the Son of the living God). (3) “By him were all things created” (verse 16). Thus, he was the one who did the creating. There are two kinds of creation, the visible and the invisible. Paul mentions different graduations of rank in spiritual intelligences: thrones, dominions, principalities, powers. Our spiritual enemies, Satan and his followers, have different gradations of rank. (4) All things were created “for Him.” This all shows that this is God’s universe. And we are joint–heirs with the Lord Jesus Christ! (5) “He is before all things.” All fullness dwells in the preincarnate and the incarnate Christ (Col.2.9). (6) “By him all things consist.” He holds everything together. He maintains and directs creation. He is the Elmer’s Glue of the universe. See also, He. 1.3. (7) “He is the head of the body, the church.” In Ephesians, the emphasis was on the fact that a church is a spiritual body. In Colossians, the emphasis is on the head of the body, the person of the Lord Jesus Christ. In Philippians we see a church with feet, walking through the world—we see the experience of a church, of a believer. “The firstborn of from the dead.” When a saved loved one dies, the body is put to sleep, but the individual has gone to be with the Lord. The body, sown in corruption, will be raised in incorruption (1 Co. 15.42) on the basis of His resurrection. We shall be as He is (1 Jn. 3.2). (8) “That is all things He might have the preeminence.” God is moving toward one goal—to put Jesus on the throne of this world which is today in rebellion against God. He will achieve that goal (See, e.g., Ps. 2.6). (9) “It pleased the Father that in him should all the fullness dwell.” In Philippians, Christ emptied Himself of His glory, not his diety, and became a servant. Here, we see that Jesus was 100% God. “Having made peace through the blood of his cross” means that by His paying the penalty on the cross for your sin and my sin, peace has been made between God and the sinner. “Therefore being justified by faith, we have peace with God through our Lord Jesus Christ” (Ro.5.1). “By him to reconcile all things unto himself.” Reconciliation is toward man; redemption is toward God. 2 Co. 5.28-20: “18 And all things are of God, who hath reconciled us to himself by Jesus Christ, and hath given to us the ministry of reconciliation; 19 To wit, that God was in Christ, reconciling the world unto himself, not imputing their trespasses unto them; and hath committed unto us the word of reconciliation. 20 Now then we are ambassadors for Christ, as though God did beseech you by us: we pray you in Christ’s stead, be ye reconciled to God.” God is reconciled. He is asking man to be reconciled to Him. “Reconcile all things.” The “all things” is limited to all things that are to be reconciled, those which are appointed to reconciliation. “Whether they be things in earth, or things in heaven.” Notice that Paul does not mention things under the earth as he did in Phil. 2.10. The things under the earth are not reconciled to Him at all. Notice that heaven must also be reconciled. “”The body of his flesh.” Christ suffered in a real body. If you are a child of God today, you will continue in the faith grounded and settled. The “if” in verse 23 is the “if” of argument. It means that something was if something else is true. Paul’s point is that we have been reconciled—it is an accomplished fact. ____ made Paul an apostle. He was therefore in the ______ of God when he was an apostle. It is important for a believer to function in a local New Testament church ______ of believers in the _______ way. Our gifts are ___________. Therefore, and we are each going to function ____________. Make the application as to a local church body and the treatment of a brother in the church you are a member of. A sample application is included in the answer below. Paul is talking to one group of people. Those to whom Paul is speaking are “___ ________” and “___ _________.” They had an address in ________ and on the _______. “Grace be unto you, and peace, from God our Father and the Lord Jesus Christ” [Co. 1.2b]. We must know the _______ of God in order to experience the _______ of God. “We give thanks to God and the Father of our Lord Jesus Christ, praying always for you” [ 1.3]. We can go directly to ____ through our ______ _______ _______. In Colossians 1.4, 5, Paul links the trinity of graces for believers: (1) _______—past, (2) ______—present, and (3) ______—future. Paul lists these three graces in 1 Corinthians 13.13 where he puts ______ first because ______ is then only thing that is to abide. ______ is for the present, but it will make it to eternity. _______ rests upon historical fact—the truth of the Gospel. Too many saints, no matter their God-given role, look down on their fellow believers for one reason or another. If we have disagreements with our brethren, we are to bear with them, ______ for them, to honor them, and to ______. The “hope that is laid up in heaven” is the blessed hope. Paul, in Colossians 1.7, calls Epaphras our “______ _____________.” Apparently, Epaphras was the leader or the _________ of the church in Colosee. Paul, in Colossians 1.8, emphasizes the ______ ________. He makes clear that the Colossian believers would not have been able to exhibit this love unless it were by the ______ _________. The second petition (verse 10) is that they might be ___________ to God. His third request is that they might be “___________ in every good ______.” His fourth request is that they be “increasing in the ____________ of God” (growing in the ______ of God). God made Paul an apostle. He was therefore in the will of God when he was an apostle. It is important for a believer to function in a local New Testament church body of believers in the right way. Our gifts are different. Therefore, and we are each going to function differently. If you have a brother who has a gift, do not belittle or marginalize him because you do not like his style, because you do not like the way he does things, or because you are jealous. If he speaks the truth from the Word of God according to knowledge, love him and give him the freedom and encouragement to exercise his gift. Paul is talking to one group of people: c. both a and b (to the saints and the faithful brethren at Colosee). Explanation: to the saints and the faithful brethren at Colosee, who are the same group of people. Those to whom Paul is speaking are “in Christ” and “at Colosee.” They had an address in heaven and on the earth. “Grace be unto you, and peace, from God our Father and the Lord Jesus Christ” [Co. 1.2b]. We must know the grace of God in order to experience the peace of God. “We give thanks to God and the Father of our Lord Jesus Christ, praying always for you” [ 1.3]. We can go directly to God through our Lord Jesus Christ. In Colossians 1.4, 5, Paul links the trinity of graces for believers: (1) faith—past, (2) love—present, and (3) hope—future. Paul lists these three graces in 1 Corinthians 13.13 where he puts love first because love is then only thing that is to abide. Love is for the present, but it will make it to eternity. Faith rests upon historical fact—the truth of the Gospel. Too many saints, no matter their God-given role, look down on their fellow believers for one reason or another. If we have disagreements with our brethren, we are to bear with them, pray for them, to honor them, and to love them. The “hope that is laid up in heaven” is the blessed hope. Paul, in Colossians 1.7, calls Epaphras our “dear fellowservant.” Apparently, Epaphras was the leader or the pastor of the church in Colosee. Paul, in Colossians 1.8, emphasizes the Holy Spirit. He makes clear that the Colossian believers would not have been able to exhibit this love unless it were by the Holy Spirit. The second petition (verse 10) is that they might be pleasing to God. His third request is that they might be “fruitful in every good work.” His fourth request is that they be “increasing in the knowledge of God” (growing in the Word of God). Those who disagree with anything please see the note at the end. Reasoned dialogue is encouraged and any Bible or fact based comments, if made in a Christian manner in an attempt to get to the truth will be considered. These are open book quizzes. Refer to your Bible for answers. The key to this section – Ephesians 6.13-18, are the words ___ s________. When the Bible speaks of believers as fighters, it says we are to s_________. a. people are drinking and partying. b. the Gospel is given out. c. Word of God is preached. “_______ therefore, having your loins girt about with the _______, and having on the breastplate of _________________” Ep. 6.14. This is the _________ time he gives this exhortation (“________”) to believers. The _________, in that day, held in place every other part of the uniform of the soldier. The girdle here is ________ which is the ______ of _____. The ________, in that day, held in place every other part of the uniform of the soldier. The girdle here is _______ which is the ______ of _____. a. the self-righteousness of the believer. c. the practical righteousness of the believer. “Above all, taking the ________ of _______, wherewith ye shall be able to quench all the fiery _______ of the _________.” The _________ covered all the armor. Faith enables a believer to stand behind that shield (C_______) which will quench all the fiery darts of the w_________ When someone asks a question about the Bible, or you have such a question, which you cannot answer at the time, put on the ________ of _______. You can rest assured that the question has an ________ which will verify the Bible. “And take the helmet of salvation.” The helmet protects the ______. God appeals not only to the heart, but also to the ____________. Throughout the Scriptures, God uses ________ with man. Is. 1:18 says, “Come now, and let us _________ together, saith the LORD: though your sins be as scarlet, they shall be as ________ as ______; though they be red like crimson, they shall be as ______.” Paul reasoned with Felix. He appealed to the mind of this man as well as the heart. “And as he ____________ of righteousness, temperance, and judgment to come, Felix trembled, and answered, Go thy way for this time; when I have a convenient season, I will call for thee” Ac. 24:25. “So then faith cometh by __________, and hearing by the ______ of ____.” Romans 10:17.
b. baptism and the sacraments administered by a priest. All parts of the armor mentioned in these verses are for d_________. Everything is in ________ of the individual. There is no protection for his ______. Nothing is provided for __________. A retreating believer is open season for the __________. In verses 19-22 ______ was a good soldier of _______ ________. Paul entrusted __________ to carry the epistle to the ___________, to give a personal account of his conditions and the prospects, and to __________ their hearts. In verses 23 and 24 are most of the great words of the Gospel: _______, ______, _______, and _______. One must know the grace of God before he can know the _______ of God. The love spoken of in verse 23 is love for other _____________. The love spoken of in verse 24 is for the _____ _______ ________. “Faith” means faith in _________ which produces love. “_______” is the key word of the epistle. It opened the epistle (1.2) and now it concludes the epistle. The key to this section – Ephesians 6.13-18, are the words to stand. When the Bible speaks of believers as fighters, it says we are to stand. “Stand therefore, having your loins girt about with the truth, and having on the breastplate of righteousness” Ep. 6.14. This is the fourth time he gives this exhortation (“stand”) to believers. The girdle, in that day, held in place every other part of the uniform of the soldier. The girdle here is truth which is the Word of God. “Above all, taking the shield of faith, wherewith ye shall be able to quench all the fiery darts of the wicked.” The shield covered all the armor. Faith enables a believer to stand behind that shield (Christ) which will quench all the fiery darts of the wicked When someone asks a question about the Bible, or you have such a question, which you cannot answer at the time, put on the shield of faith. You can rest assured that the question has an answer which will verify the Bible. “And take the helmet of salvation.” The helmet protects the head. God appeals not only to the heart, but also to the intellect. Throughout the Scriptures, God uses reason with man. Is. 1:18 says, “Come now, and let us reason together, saith the LORD: though your sins be as scarlet, they shall be as white as snow; though they be red like crimson, they shall be as wool.” Paul reasoned with Felix. He appealed to the mind of this man as well as the heart. “And as he reasoned of righteousness, temperance, and judgment to come, Felix trembled, and answered, Go thy way for this time; when I have a convenient season, I will call for thee” Ac. 24:25. “So then faith cometh by hearing, and hearing by the word of God.” Romans 10:17. All parts of the armor mentioned in these verses are for defense. Everything is in front of the individual. There is no protection for his back. Nothing is provided for retreat. A retreating believer is open season for the enemy. d (See, e.g., as to the Word of God, the sword of the Spirit, Hebrews 4.12; Re. 1,16, 19.21 (Christ uses the Word of God to meet Satan.)). In verses 19-22 Paul was a good soldier of Jesus Christ. Paul entrusted Tychicus to carry the epistle to the Ephesians, to give a personal account of his conditions and the prospects, and to comfort their hearts. In verses 23 and 24 are most of the great words of the Gospel: peace, love, faith, and grace. One must know the grace of God before he can know the peace of God. The love spoken of in verse 23 is love for other believers. The love spoken of in verse 24 is for the Lord Jesus Christ. “Faith” means faith in Christ which produces love. “Grace” is the key word of the epistle. It opened the epistle (1.2) and now it concludes the epistle. Ephesians 6:10-12: “10 Finally, my brethren, be strong in the Lord, and in the power of his might. 11 Put on the whole armour of God, that ye may be able to stand against the wiles of the devil. 12 For we wrestle not against flesh and blood, but against principalities, against powers, against the rulers of the darkness of this world, against spiritual wickedness in high places. To this point in Ephesians 6, we have seen the soldier’s basic training which takes place in the _______. We have seen that God also had something to say to him when he goes into the ________ either as employee or employer. Of course, we are looking at the believer who is to fight for the h_____, for s_________, and for the c_______ as a soldier for Christ. Now, in verses 10-12, we learn of the soldier’s _________. The believer is in a battle which is fought along s_________ lines using s_________ weapons. Remember, we are seated in the h___________ but we are living in the w________. If a believer is not living a life that pleases Christ, he is wasting his time studying his B______ and going to c________. In fact, he is doing the cause of Christ more _______ than _______ if his teaching is exalted but his l_______ is low. The believer needs spiritual power because the enemy is s_____________ and the warfare is s_____________. The flesh of the believer is not the ________ to be fought. The way of __________ over the flesh is outlined in Romans 6. We now live in a demonic world. Demonism is a popular ____________. There are many churches of S________. Strange things are happening in many of these weird, way-out groups. People are being ensnared and led into all kinds of d________. Evil s______________ forces are working against b____________, G____, C_______, and ch________ who seek to honor God. _________, as recorded in the book of Daniel, had been praying and did not get an answer. __________ had been in conflict with a demon and had to go back for reinforcement. There was a _____________ battle going on, and we have one today. See Daniel 10.2-13. The heartbreak, the heartache, the suffering, and the tragedies of life are the other problems that are in the world today are the cause of ________. ________ heads up the demonic forces. a. the fact that they are to build bigger buildings. b. the fact that they are to build up people in the Word of God. c. the fact that they are called to fight a spiritual battle. d. the principle that they are to cooperate in a spirit of love and get rid of the spirit of criticism, bitterness, and hatred so that the Spirit can work. To this point in Ephesians 6, we have seen the soldier’s basis training which takes place in the home. The God had something to say to him when he goes into the world either as employee or employer. Of course, we are looking at the believer who is to fight for the home, for society, and for the church as a soldier for Christ. Now, in verses 10-12, we learn of the soldier’s enemy. The believer is in a battle which is fought along spiritual lines using spiritual weapons. Remember, we are seated in the heavenlies but we are living in the world. If a believer is not living a life that pleases Christ, he is wasting his time studying his Bible and going to church. In fact, he may be doing the cause of Christ more harm than good if his teaching is exalted but his living is low. The believer needs spiritual power because the enemy is spiritual and the warfare is spiritual. The flesh of the believer is not the enemy to be fought. The way of victory over the flesh is outlined in Romans 6. We now live in a demonic world. Demonism is a popular subject (other correct answers such as “pastime, religion, etc. are also correct). There are many churches of Satan. Strange things are happening in many of these weird, way-out groups. People are being ensnared and led into all kinds of demonism. Evil spiritual forces are working against believers, God, Christ, and churches who seek to honor God. Daniel, as recorded in the book of Daniel, had been praying and did not get an answer. Daniel had been in conflict with a demon and had to go back for reinforcement. There was a spiritual battle going on, and we have one today. See Daniel 10.2-13. The heartbreak, the heartache, the suffering, and the tragedies of life are the other problems that are in the world today are the cause of Satan. Satan heads up the demonic forces. a. how to follow orders. b. obedience to those in authority. c. how to find his own truth so that he can help run his and his family’s life. This _______ training is learned in the _______. After a soldier has learned to ______, then he is in a position to be promoted to the rank of an officer where he gives ___________ to others. a. the last form of lawlessness to occur on this earth. b. the lowest form of lawlessness to occur on this earth. a. thou shalt not kill. b. thou shalt not steal. c. thou shalt not commit adultery. d. honor thy father and mother. d. prestige in one’s chosen work or profession. Ephesians 6:4 says “And, ye fathers, provoke not your children to wrath: but bring them up in the nurture and admonition of the Lord.” Nurture means ______________ and admonition means _______________. No such command was given parents under the _______. Under _______ there is always mutual responsibilities and interactive duties. b.to live those truths before the child. 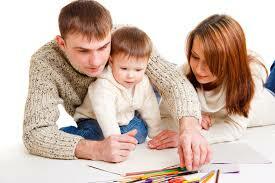 c. to make sure that the home is democratic with everyone in the family, including the child, having an equal voice. Parents are not to provoke their children to ________. The board of ____________ is to be applied to the ______ of learning whenever needed. See Pr. 13.24; 19.18; 22.15; 23.13, 14; 29.15, 17. Thus, a parent should never spank a child when the parent is _______. This provokes our children to _______ since the child sees that the parent was venting a _______ disposition on them. Servants are to be ___________ to their masters, with ______ and ____________ in singleness of ________, as unto _________, doing the will of God from the ________. This responsibility is put upon a believer who is a ___________. a. there should be no duplicity. b. there should be no two-facedness. c. One should not lick the boots of the employer while he is around and stab him in the back when he is away. a. to do a good job. b. to earn big money. Only _________ can break a man’s shackles and set him _______. b. take advantage of their position as master. c. do the same things to their employees as employees are instructed to do to their masters. d. lord over their employees. This basic training is learned in the home. After a soldier has learned to obey, then he is in a position to be promoted to the rank of an officer where he gives commands to others. Nurture means discipline and admonition means instruction. No such command was given parents under the law. Under grace there is always mutual responsibilities and interactive duties. Parents are not to provoke their children to anger. The board of education is to be applied to the seat of learning whenever needed. See Pr. 13.24; 19.18; 22.15; 23.13, 14; 29.15, 17. Thus, a parent should never spank a child when the parent is angry. This provokes our children to wrath since the child sees that the parent was venting a mean disposition on them. Servants are to be obedient to their masters, with fear and trembling in singleness of heart, as unto Christ, doing the will of God from the heart. This responsibility is put upon a believer who is a laborer. Only Christ can break a man’s shackles and set him free. See Jn. 8.36. Ephesians 5:25-33: “ 25 Husbands, love your wives, even as Christ also loved the church, and gave himself for it; 26 That he might sanctify and cleanse it with the washing of water by the word, 27 That he might present it to himself a glorious church, not having spot, or wrinkle, or any such thing; but that it should be holy and without blemish. 28 So ought men to love their wives as their own bodies. He that loveth his wife loveth himself. 29 For no man ever yet hated his own flesh; but nourisheth and cherisheth it, even as the Lord the church: 30 For we are members of his body, of his flesh, and of his bones. 31 For this cause shall a man leave his father and mother, and shall be joined unto his wife, and they two shall be one flesh. 32 This is a great mystery: but I speak concerning Christ and the church. 33 Nevertheless let every one of you in particular so love his wife even as himself; and the wife see that she reverence her husband. Only the Christian can know what is real love in __________, because it is carried to the high plane of the relationship between ________ and the ________. Christ loved the ________ and gave Himself for ___ – that is in the ______. In the __________ He is sanctifying the church with the ________ of the ______ of God. The cleanser, the ________, is better than any _________ advertised on radio or television. In the ________, he will present it to Himself a ____________ church, without ______ or wrinkle but holy and without __________. A church is not an _____________ with a steeple, a pulpit, and an organ. A church is a spiritual ______ (a living ____________) made up of true believers. Ephesians 5.27 means he is washing each __________, preparing ______ _____ for the marriage of the ______. In Ephesians 5.28-32, Paul draws on _____ themes and goes ______ and forth, _________ and ______, ________ and his ________. Marriage makes a wife a part of the ______ of her __________. It is unnatural for a man to hate his own _______, so the _________ is to love his wife because she is his own _______. Christ, knowing the weakness of a church, ____________ and ____________ it. __________ are to do the same. Paul refers, in verse 31, back to a relationship that existed in the Garden of ______ between ______ and _____. That first couple is a figure of the future union of ________ and the ________ as ______________ and bride. God meant for Christians to have this relationship on a much _________ plane than the new morality and sexual freedom, which put young people in __________. I say to you young Christian ladies today: Don’t marry a ______ man. Don’t take anything but the ______ that _____ has to offer you. Ephesians 5.33 is the practical part about marriage down here. The _________ and ______ in the home are to set forth in simplicity the __________ of the coming glory. Here, Paul brings the romantic into the realm of _________. Only the Christian can know what is real love in marriage, because it is carried to the high plane of the relationship between Christ and the church. Christ loved the church and gave Himself for it – that is in the past. In the present He is sanctifying the church with the water of the Word of God. The cleanser, the Bible, is better than any cleanser advertised on radio or television. In the future, he will present it to Himself a glorious church, without spot or wrinkle but holy and without blemish. A church is not an organization with a steeple, a pulpit, and an organ. A church is a spiritual body (a living organism) made up of true believers. Ephesians 5.27 means he is washing each believer, preparing each one for the marriage of the Lamb. In Ephesians 5.28-32, Paul draws on two themes and goes back and forth, husband and wife, Christ and his church. Marriage makes a wife a part of the body of her husband. It is unnatural for a man to hate his own flesh, so the husband is to love his wife because she is his own flesh. Christ, knowing the weakness of a church, nourishes and cherishes it. Husbands are to do the same. Paul refers, in verse 31, back to a relationship that existed in the Garden of Eden between Adam and Eve. That first couple is a figure of the future union of Christ and the church as bridegroom and bride. God meant for Christians to have this relationship on a much higher plane than the new morality and sexual freedom, which put young people in slavery. 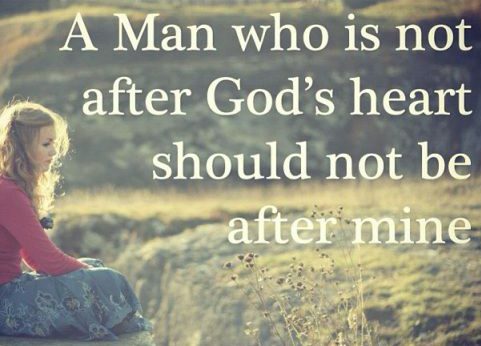 I say to you young Christian ladies today: Don’t marry a lost man. Don’t take anything but the best that God has to offer you. Ephesians 5.33 is the practical part about marriage down here. The husband and wife in the home are to set forth in simplicity the mystery of the coming glory. Here, Paul brings the romantic into the realm of reality. Ephesians 5:18-24: “18 And be not drunk with wine, wherein is excess; but be filled with the Spirit; 19 Speaking to yourselves in psalms and hymns and spiritual songs, singing and making melody in your heart to the Lord; 20 Giving thanks always for all things unto God and the Father in the name of our Lord Jesus Christ; 21 Submitting yourselves one to another in the fear of God. 22 Wives, submit yourselves unto your own husbands, as unto the Lord. 23 For the husband is the head of the wife, even as Christ is the head of the church: and he is the saviour of the body. 24 Therefore as the church is subject unto Christ, so let the wives be to their own husbands in every thing. For a great audio teaching from Ephesians 2.21-31 on the submission of church members one to another, submission of the wife to the husband, the love between husband and wife, the love of Christ for his church, etc., click here. The experience of each believer in the church and the church is found in Ephesians 5.18-24. We read in Ephesians 5.18-19: “And be not _______ with wine, wherein is excess; but be filled with the _______; speaking to yourselves in ________ and _______ and ____________ _______, __________ and making _________ in your ________ to the Lord.” Ep. 5.19. Believers need an attitude adjustment, but they don’t need the spirits that come from a _________. They need to be filled with the Holy ________ so that they might radiate the joy of the _______. The fullness of joy is to be through our fellowship with the ________ and with _______ ________. 1 John.1.3-4. The believer needs the filling of the ________ to serve Christ. When you are filled with the ________, you will do something for God; you will be walking in the ________. Another evidence of being filled with the Spirit is an attitude of ____________. “Giving ________ always for all things unto God and the Father in the name of our Lord Jesus Christ” (Ep. 5.20). Don’t run around telling everyone you ______ them; show them that you ______ We need to go to Him and tell Him we are empty and that we need the ___________ of the Holy Spirit so we can live for _____. We need to see that it is ____________ by ourselves but that ____ can do it through us. Every believer is indwelt by the Holy Spirit. “But ye are not in the flesh, but in the __________, if so be that the __________ of God dwell in you. Now if any man have not the __________ of Christ, he is none of his” Ro. 8.9. Every believer is regenerated by the ______ _________. “Therefore if any man be in ________, he is a new ____________: _____ things are passed away; behold, all things are become _____” 2 Co. 5:17. The believer is sealed by the ______ _________. “in whom also after that ye believed, ye were ________ with that holy Spirit of promise” (Ep. 1.13). God commands believers to be _________ with the Holy Spirit (Ep. 5.18). Church members are to ________ themselves one to another in the fear of _____ 5.21. How? Christ said, “If you ______ me, keep my commandments” (Jn. 14.15). “A new commandment I give unto you, That ye ______ one another; as I have ________ you, that ye also ______ one another” (Jn. 13.34). Wives are to submit to their ___________. The _________ is the head of the wife, even as ________ is the head of the church. Wives are to be subject to their ___________ as the church is subject to ________. (Ephesians 5.22-24). Submission is a ________ It means to respond to your own ______________ as unto the Lord. The way we respond to the Lord is that we ______ Him because He first ________ us. The experience of each believer in the church and the church is found in Ephesians 5.18-24. We read in Ephesians 5.18-19: “And be not drunk with wine, wherein is excess; but be filled with the Spirit; speaking to yourselves in Psalms and hymns and spiritual songs, singing and making melody in your heart to the Lord.” Ep. 5.19. Believers need an attitude adjustment, but they don’t need the spirits that come from a bottle. They need to be filled with the Holy Spirit so that they might radiate the joy of the Lord. The fullness of joy is to be through our fellowship with the Father and with Jesus Christ. 1 John.1.3-4. The believer needs the filling of the Spirit to serve Christ. When you are filled with the Spirit, you will do something for God; you will be walking in the Spirit. Another evidence of being filled with the Spirit is an attitude of thankfulness. “Giving thanks always for all things unto God and the Father in the name of our Lord Jesus Christ” (Ep. 5.20). Don’t run around telling everyone you love them; show them that you love We need to go to Him and tell Him we are empty and that we need the filling of the Holy Spirit so we can live for Him. We need to see that it is impossible by ourselves but that He can do it through us. Every believer is indwelt by the Holy Spirit. “But ye are not in the flesh, but in the Spirit, if so be that the Spirit of God dwell in you. Now if any man have not the Spirit of Christ, he is none of his” (Ro. 8.9). Every believer is regenerated by the Holy Spirit. “Therefore if any man be in Christ, he is a new creature: old things are passed away; behold, all things are become new” (2 Co. 5:17). The believer is sealed by the Holy Spirit. “in whom also after that ye believed, ye were sealed with that holy Spirit of promise” (Ep. 1.13). God commands believers to be filled with the Holy Spirit (Ep. 5.18). Church members are to submit themselves one to another in the fear of God 5.21. How? Christ said, “If you love me, keep my commandments” (Jn. 14.15). “A new commandment I give unto you, That ye love one another; as I have loved you, that ye also love one another” (Jn. 13.34). Believers are to love one another as they seek truth. Should you, if you are a born again believer, disagree with an answer given, please explain why you disagree in the comment section below the article. All reasoned comments will be published, perhaps with reply. The purpose of this website is the Glory of God. God cannot be glorified by shutting out honest disagreement in the search for truth. The author would be interested in your explanation. The comments are required by the website to be approved or disapproved. The author is very busy with many matters and may or may not immediately notice your comment. He will address it as soon as he notices it. He almost always approves comments presented with a godly spirit. He never alters comments. Sometimes, he replies to comments.